Posted March 5, 2013 by Sue & filed under Centre News. The next ILC (Guideposts Trust Independent Living Centre) Open Day will be on 6th March from 10am to 3pm. The theme for this day is Leisure and Holidays. There will be information on local clubs, local sporting opportunities, accessible holiday accommodation, holidays with care etc. There will be suppliers bringing exercise equipment and folding equipment to take on holiday. You can find directions and parking details on their website: http://www.guidepostsilc.org.uk/contact-us. This MS Awareness Week, the MS Trust wants to celebrate the invaluable work carried out by the UK’s MS nurses. Is your MS nurse a Super Nurse? Has your MS nurse gone that extra mile? Show your support and nominate them for the MS Trust’s ‘My Super Nurse’ Award. The MS Society have launched a new exercise DVD for people with MS presented by former Olympic champion Sally Gunnell OBE. The exercise programme contains a range of simple, gentle exercises that can help people with varying levels of disability strengthen their muscles and feel fitter. For most exercises there is an alternative option for people who have difficulties with mobility or balance or who are exercising in a seated position. Copies of the DVD are available at the Centre. Do you have MS? Are you over 18 years old? Do you live in the UK? Posted February 15, 2013 by Sue & filed under Centre News. Welcome to Sue’s first ever blog post!! 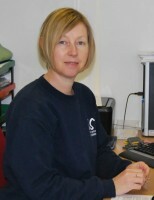 (for those of you who don’t know me… I’m the Centre Manager here at OMSTC). I hope you like our new website which has been designed by Sarah Hills at Hexagon Webworks. Thanks Sarah, I think it’s great and I will keep it up-to-date! Well a belated Happy New Year to you all, lets hope 2013 is a good year for you all and for the Centre. I’ve included a round up of latest news below… in future I will be posting things as and when they happen (within reason! ), so make sure you check back regularly. Collection days have been arranged at Sainsbury’s Didcot on Friday 22nd and Saturday 23rd March 2013. I am looking for 2 volunteers per 2-hr slot throughout the day. Please contact me if you are available to give up some time to help. Sara’s husband is running the Bath Half Marathon on Sunday 3rd March. He is running for the MS Society but would also like to raise some money for the MS Therapy Centre. There is a sponsorship form at the centre. If you would like to sponsor Richard please fill in the form here or email me with the amount you would like to sponsor Richard for. Good luck Richard!! Posted February 12, 2013 by Sue & filed under MS News. A new online forum for MS Centres to share information has been set up by MS National Therapy Centres. The group is hosted on LinkedIn. You will find below further information on the group from Sior Roberts, secretary of MS National Therapy Centres, including information on who the group is for (Oxygen operators, managers, fundraisers, trustees, …) and how to join.